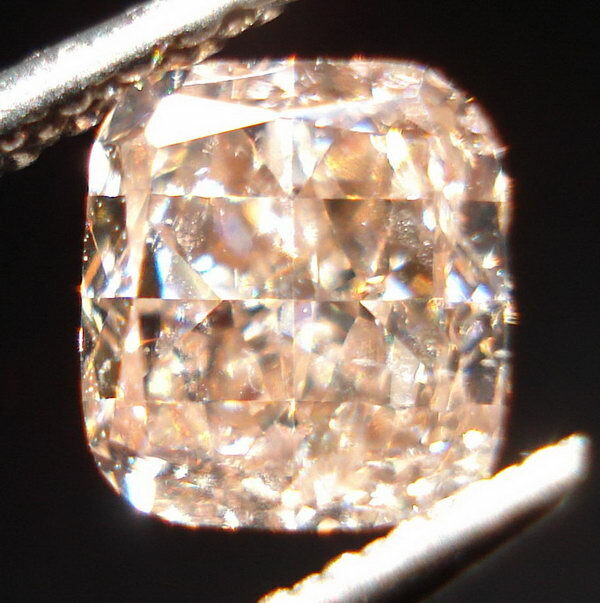 Actual photos and Video of the Diamond we are offering. 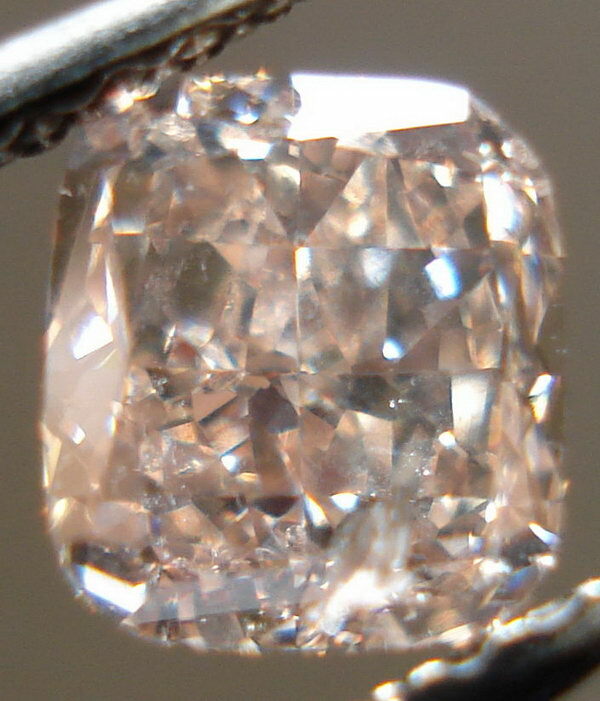 Here's a gorgeous Pink-Brown Diamond. 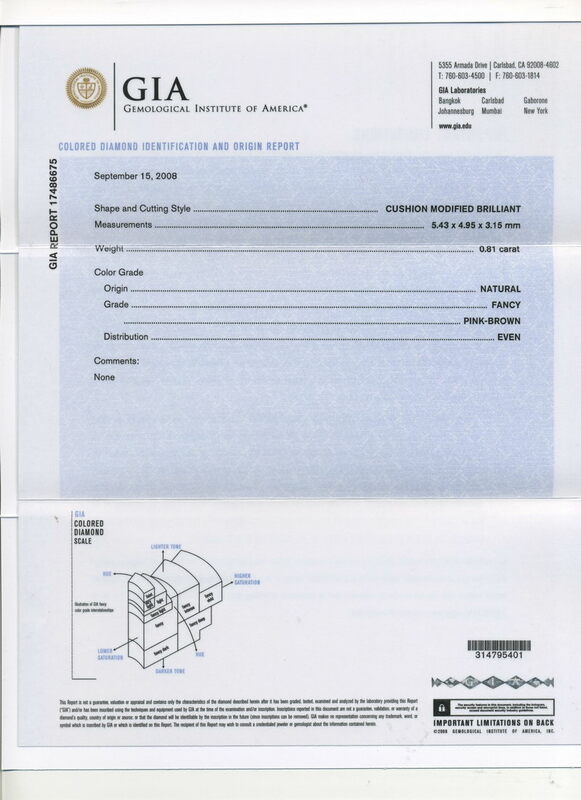 The colors of Pink and Brown are closely related. 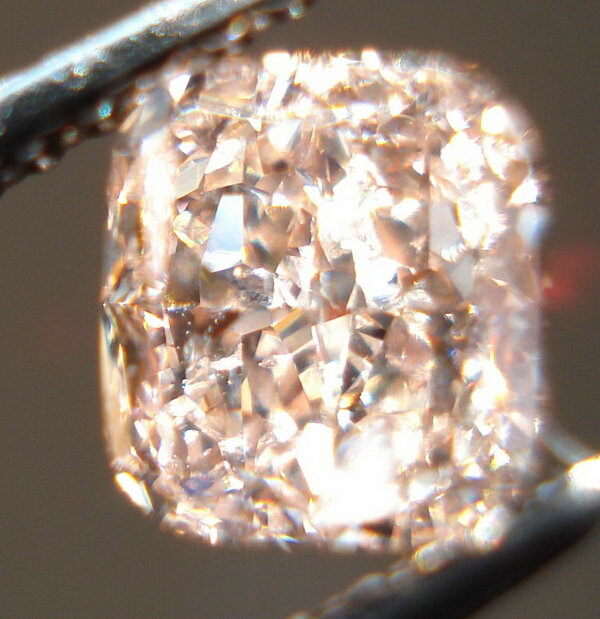 In this case, the pink is a very strong modifier. At times you don't even see the brown. 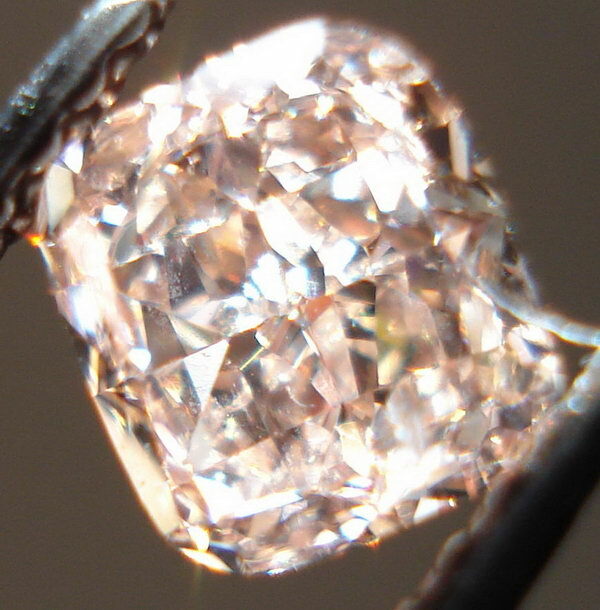 Pink is extremely rare- and commensurately costly. The presence of brown decimates the price. I LOVE stones like this! 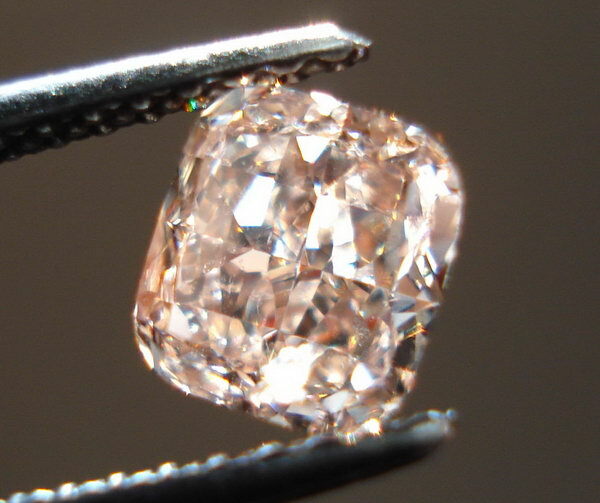 AS you can see in the top photo, the stone has a feather, which I have graded I1 clarity. Although it's clearly visible in the some of the photos, it's hard to see it in real life. 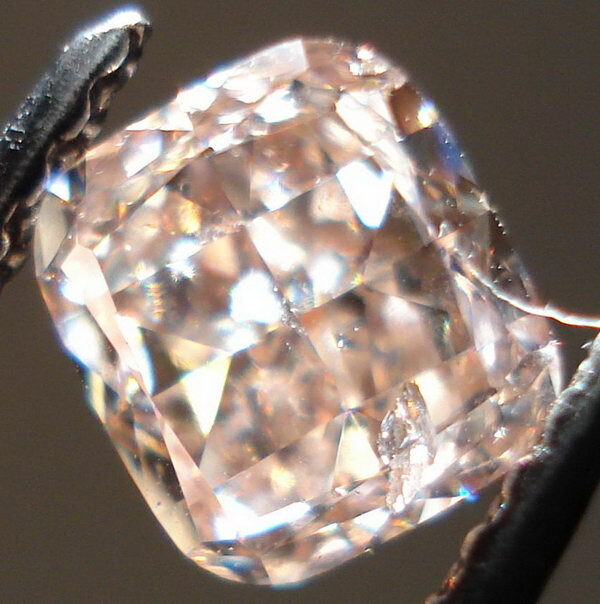 The stone's color and sparkle helps in that regard. 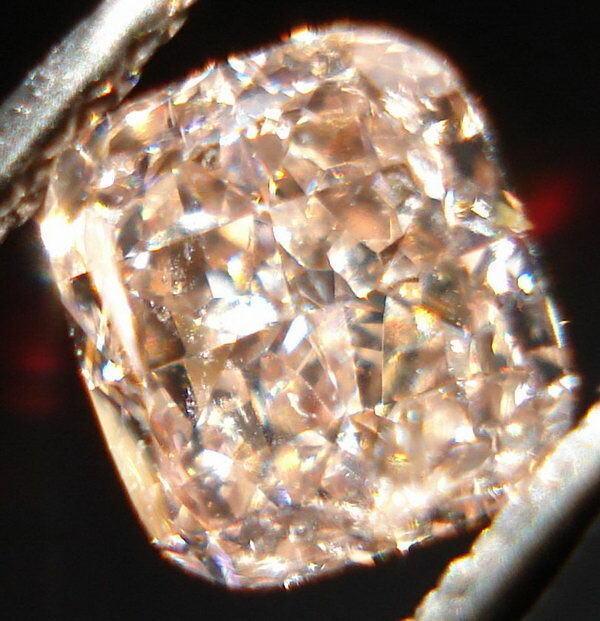 The stone is cut to take advantage of the remarkable color. 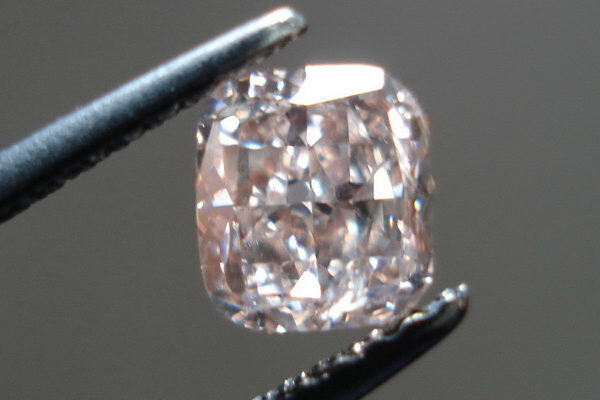 The result is an amazing sparkle, and a lovely shape.